Tiffany Arment and Myke Hurley are the best of friends. One of the things that brought them together was their love of video games. While many people like to unwind with a book, or curl up to watch a movie, Tiff and Myke enjoy nothing more than sitting down with a controller for hours at a time. And that’s the what Playing for Fun is all about. Each month you’ll hear two best friends talk about a video game. They’ll share the things they love about it, what makes it something they cannot stop thinking about, and why they need to finish it. 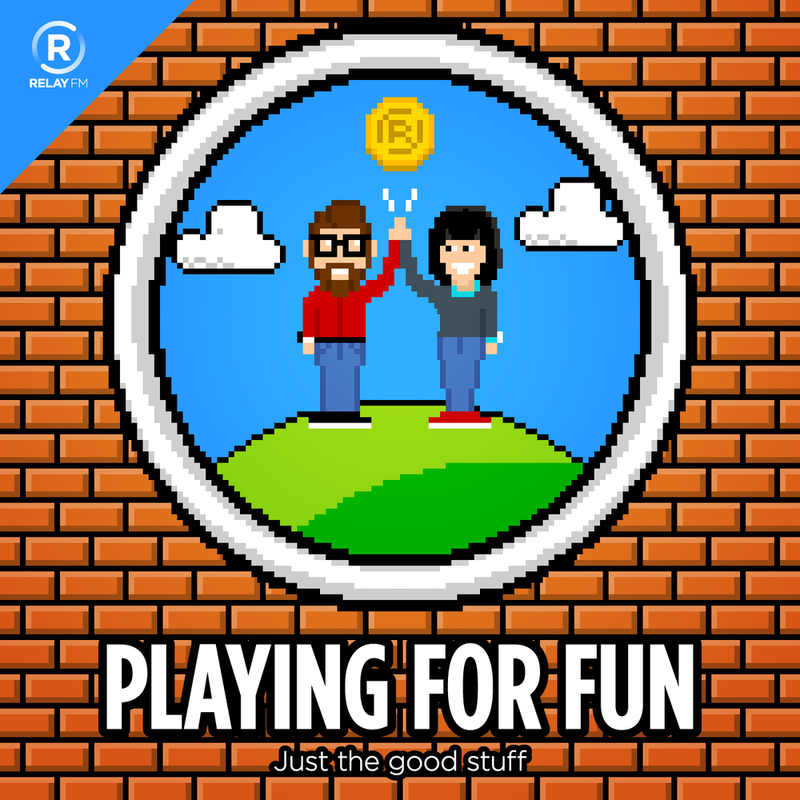 Playing for Fun focuses on just the good stuff, none of the bad stuff. You can tune in to the first episode today, which features a discussion on Super Mario Odyssey. Back by popular demand, our "Cool Fresh" AirPod case stickers are making a return to the store. Now in "cinnamon red" they look really awesome on the white case. As fun as these stickers are, we wanted to do something special, so they are being paired with a limited-run t-shirt for the holiday season. Pre-orders are open now on the Relay FM store, and will be available until Monday, November 6. Each order comes with one shirt and two AirPods stickers. As you can see on the store via the button below, we have both mens and womens shirts ready for preorder. Once orders are in, we'll have everything printed. We expect to be shipping these orders in mid-December. Each August, we host a Q&A. This year, it's on video! This week marks three years since we launched Relay FM. Frankly, I cannot believe it has been that long, but as they say, time flies when you're having fun. 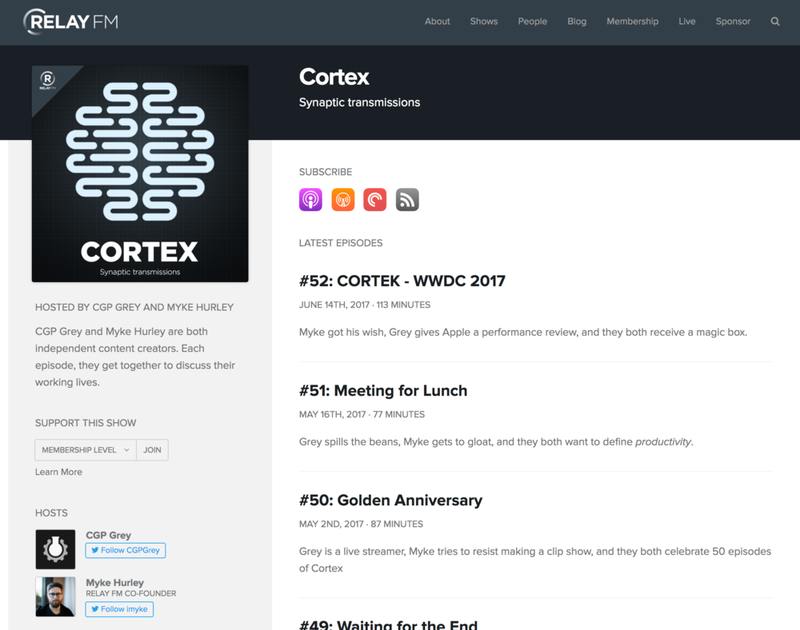 The new homepage features the newest episode in the sidebar, with the next 8 most recent episodes making up the main column. The page uses the color pallette introduced with our iOS app, which really lets the show art pop off the page. Once inside the site, each show page uses a key color defined by the show art, giving each show and episode a sense of identity and place. This new design makes it easier than ever to see how to subscribe to a show or support it with a membership, all while letting the content take center stage. When you visit Relay FM on a mobile device, the site is faster, leaner and much easier to get around. We owe a huge thanks to the mysterious @forgottentowel, who is the designer behind every single part of the Relay FM brand. That vision was brought to life by Jason Charnes, the developer we work with on the website and CMS. We hope you enjoy the new coat of paint. There's a lot more to come this week, so stay tuned!